The characters- I had a very hard time discerning who was speaking. The voices of each character read the same and I found myself having to skim backwards to see who was last in the scene. I did like Honour and Horatia but they felt more like the same character given a different name then two separate entities. Also, the vagueness on whether characters were male or female really bugged me as it brings me back to the original point of never being able to tell whose speaking. The World Building- I love world building. I usually am the first to complain about not having enough. The Forgotten however had the opposite problem. Way too much world building for one book. 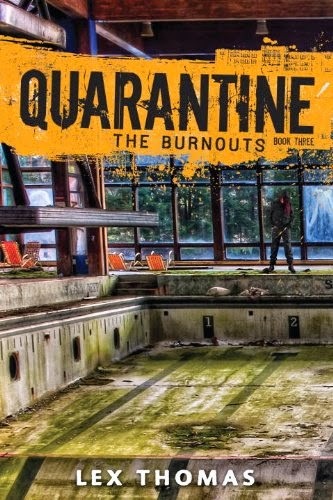 I felt that I was reading two separate books that had been combined into one story and rushed to publication instead of one cohesive story that was intentionally written that way. The Length- The Forgotten was quite a long book which normally I don't mind but due to the story having so much world building and the characters not really having any distinct identities it made this book hard to power through. I truly believe this story could've been broken up into prequel and main story and worked just fine but together it just felt dragged down by dialogue. Now I did like some aspects of the story. I really loved going back in time and learning about the Lux and London before the solar storms and the Sixteen strains collapsed society. I also loved being in Forgotten London. The world was bleak and grim and really felt fresh to me which was what I was craving. 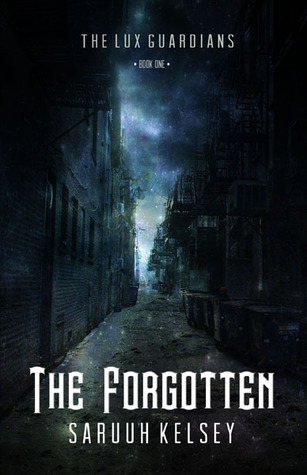 The Forgotten isn't a straight up Dystopian it combines many other elements such as Fantasy, Science Fiction and even Steampunk to create its world. I really liked that and ultimately the uniqueness of the world is what will have me coming back for the next installment. Overall, while I did have plenty of issues with The Forgotten and I still have plenty of hope for this series and can't wait to see where the story heads in the next book. With that being said I'll be giving The Forgotten by Saruuh Kelsey ★★★.